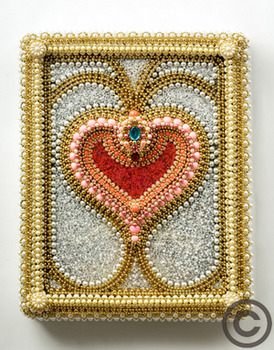 Love cake 2, 2011 Woods, Canvas, Beads, Resin 1.97"X16.14"X10.24"
Cocaine Cowboy, 2009-2010 Peace Of Refrigerator, Acrylic Paint, Cardboard, Pearls, Resin 40.55"X15.75"X1.77"
Blind Love, 2009 Hood Of Car, Acrylic Paint, Resin, Pearls 56.1"X37.4"X8.66"
Stella, 2007 Resin, Beads, Metal Wire 20.47"X12.99"X11.02"
Alexandre Boisseau is a self-taught artist who has been developing over the past fifteen years art that is underpinned by rigorous discipline and an aesthetic ideal. 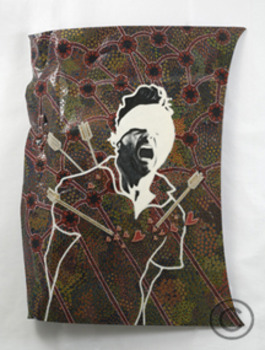 The underlying motif guiding his work is a search for balance and equilibrium. Given that human beings are often torn between passion and reason, he questions the foundations of existence, delving into the symbiosis of contrary elements such as love and hate, beauty and ugliness, wealth and poverty, heaven and hell. Alexandre’s paintings explore these contrasts by showing how balance can be achieved through acceptance of an element as well as its opposite. The powerful energy inherent in these opposing forces is amplified by combinations of vivid colours and lustrous finishes that give his paintings a distinctive signature. 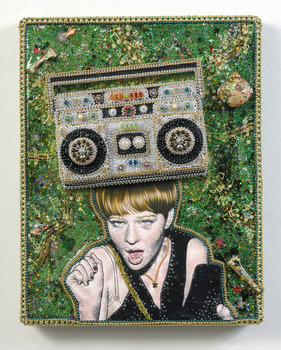 Alexandre’s works incorporate elements of mass consumption. His aesthetic approach is nourished by an obsession for detail, and his paintings stand out for both their sophistication and their finesse. One distinctive feature of his work is the plastic beads that cover his subjects. 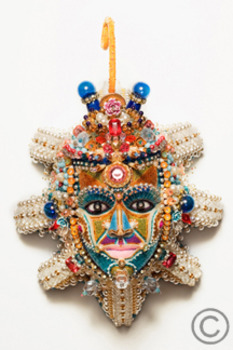 Beads evoke a feminine universe and by extension the mother he lost at a young age. 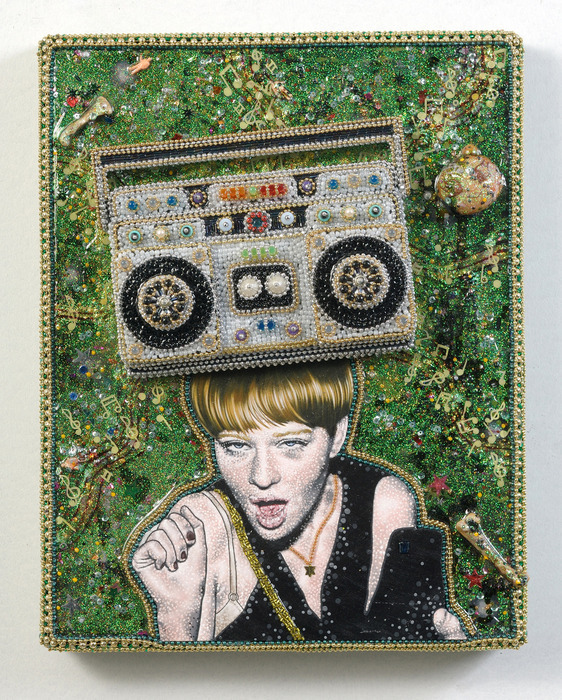 By superimposing beads on his pieces, Alexandre creates a meticulously detailed relief. 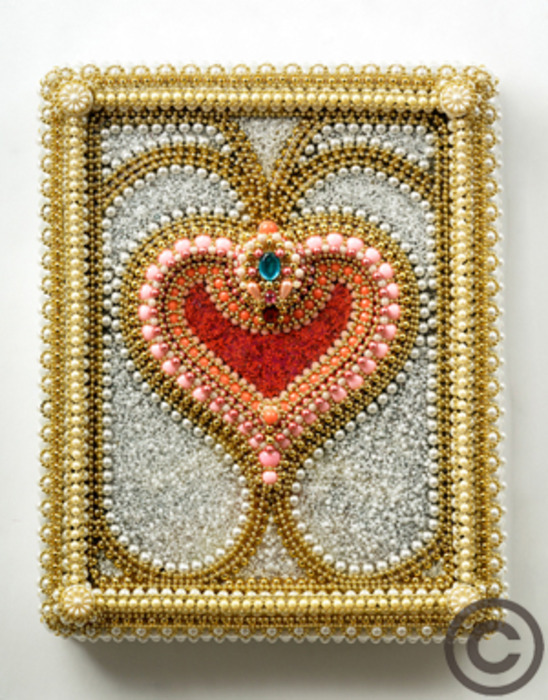 Beads are also reproduced in some of his paintings, taking the form of tiny dots superimposed on the image. This decorative surfeit gives his work an exuberance that allows him to gently mock idealized subjects. Alexandre employs universal symbols drawn from various mythologies, making use of unknown characters as well as major idols of contemporary pop culture. He likes to deify human character, portraying its omnipotence and its vulnerability. In creating demigods composed of human bodies adorned with animal heads, he makes no secret of his views on controversial issues. The paradoxes at work in his pieces transcend notions of good and evil, stoking his search for beauty and his quest for equilibrium.